The Center for Juvenile Law & Policy (CJLP) at Loyola Law School, Los Angeles, will begin an ambitious new project that could lead to innovations and advancements in the field. Thanks to a $1 million competitive grant by the Everychild Foundation, law students will receive instruction in the best practices in advocating for foster youth, according to a press release. The primary goal of the Everychild Integrated Education & Legal Advocacy Project (EIELAP) is to stop the school-to-prison pipeline involving “crossover youth.” That is foster kids who have also had a run-in with authorities. Helping young people who’ve faced adversity become productive members of society is the program’s watchword. The EIELAP aims to help crossover children obtain high school diplomas, the belief being that education is the best means of preventing the transition from the juvenile justice system to the adult justice system. The program will utilize a three-pronged approach involving education advocates, criminal-defense representatives, and social workers. Each crossover child will have a team advocating for them in each area mentioned above, the press release reports. All told, 300 Los Angeles youth will take part in the program, assisted by 36 law students. The program’s success could reshape the juvenile justice system and serve as a guide to similar programs throughout the country. Since the CJLP’s creation in 2004, its various programs have helped more than 500 kids in the L.A. area. Young attorneys have donated nearly 100,000 hours of their time working on more than a thousand delinquency cases. 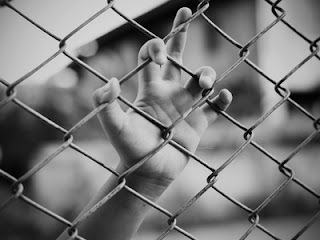 At the Law Offices of Katie Walsh, we specialize in California juvenile justice. Attorney Walsh obtained her law degree from Loyola Law School. We can assist your child in achieving a favorable outcome in their case. Please contact us today; we can help.